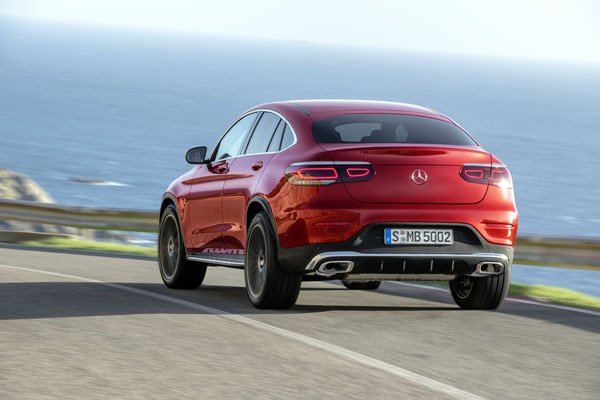 The updated Mercedes-Benz GLC Coupe won’t be in Australia for quite a while, probably well into the second half of 2019. But it’s already exciting the Merc enthusiasts. Not only does it look good it also will be powered by a new engine line-up and introduces clever driving assistance systems. Changes to the external appearance are relatively minor, but do give the GLC an even sleeker look. A larger touchscreen displays with 12.3 inches in the instrument cluster. There are 7.0 inches with 960 x 540 pixels and 10.25 inches with 1920 x 720 pixels in the central display. The latest generation of the MBUX Mercedes-Benz User Experience multimedia system uses intuitive logic and offers you a choice of ways to interact with the GLC’s system: multifunction touchpad on the centre console; optional gesture control with the Interior Assistant; and by voice control, using the “Hey Mercedes” prompt. Mercedes’ optional Energizing comfort control integrates lighting and music moods, climate control, suitable music and video selections as well as a massage function, heating and ventilation for the seats. The enhanced driving assistance systems have been expanded by adding exit-warning, emergency-corridor and tail-end-of-traffic-jam functions. 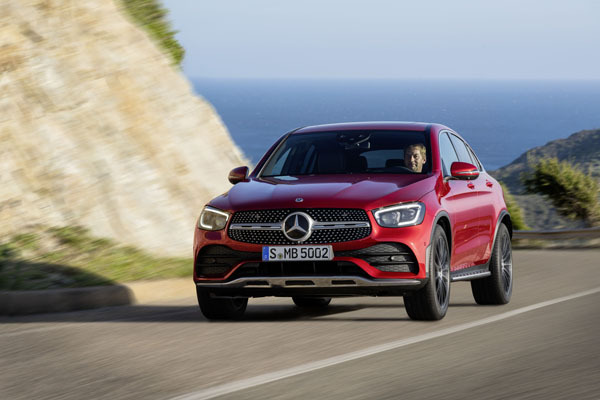 In Europe the GLC Coupe will offer a choice of efficient four-cylinder petrol and diesel engines from the latest generation. It’s likely all will be offered in Australia, but stay tuned and we will provide more information closer to the Downunder launch.